A statutory declaration (or stat dec) form is a written statement that is sworn or affirmed under penalty of perjury. Whereas an affidavit in Australia is used for court purposes, to legally verify names, addresses, insurance details and more. Power of attorney, or PoA, is an official document that gives one party authorisation to act on another person’s behalf regarding private, financial or legal matters due to sickness or absence. What is an Affidavit and who Can Witness it? An affidavit is a written statement accepted as being truthful and accurate. Its accuracy has been confirmed and sworn under oath or affirmed (depending on your religious beliefs), enabling it to be used as evidence in court. There are numerous people who can witness an affidavit form for use in Australia, including any judge or judge’s associate, current or former members of the House of Parliament of Victoria, a police officer or a legal practitioner. However, for an affidavit for overseas use, only a public notary can act as a witness. A public notary is a legally acknowledged public officer given the authority to witness documents and administer oaths, as well as performing a vast range of administrative functions. These functions can be at either a domestic or international level, and include the verification, or ‘notarisation’, of documents intended for international purposes. Attesting documents, certifying their authenticity for use in and outside of Australia. An Apostille stamp authenticates notarised documents for use in foreign countries that are signatories to the Hague Convention. In most cases, a person requiring both notary and Apostille services will need to search for each separately, however Charles Reichman offers both services. What does a notary public need to do in order to notarise documents? Confirm the signatory’s true identity by careful examination of identification. 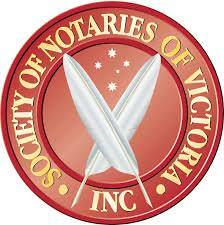 If you are in need of a public notary or Apostille services, contact Charles Reichman , the notarial service that Melbourne trusts.